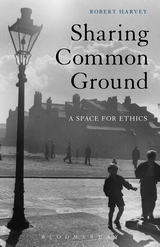 Référence bibliographique : Robert Harvey, Sharing Common Ground: A Space for Ethics, Bloomsbury Academic, 2017. EAN13 : 9781501329623. Adresse : P.O. Box 863Stony Brook, NY 11790U.S.A.